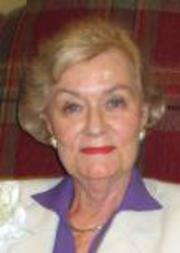 Marge Geary is our Adult Community expert. A long time resident of Bergen County, Marge and her husband Harry moved to Four Seasons at Wall in 1998. With a lifelong philosophy of giving back to her community, Marge has always been active in her Parish, PTO and CCD organizations. At Four Seasons, she sat on several committees and was instrumental in fundraising for Clubhouse improvements and Charity events. Marge is an expert in all things real estate at Four Seasons and works tirelessly for her clients. Her hard work has paid off and now Marge along with her sales partner Jeanne Grasso enjoy a significant share of the Four Seasons market. If you are considering adult community living, put Marge to work for you!